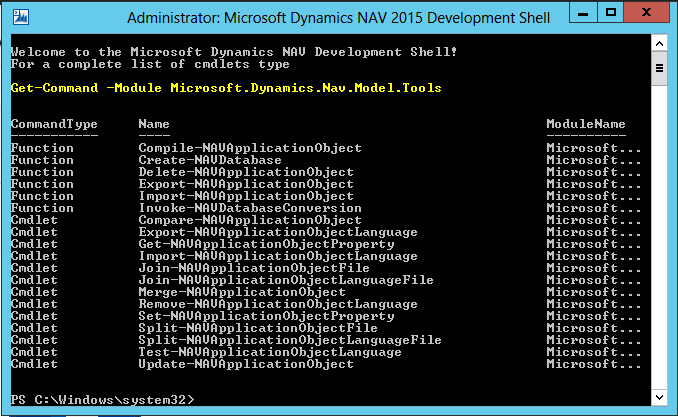 The following sections provide an overview of the new, changed, and removed cmdlets in the Microsoft Dynamics NAV 2016 Administration Shell and Microsoft Dynamics NAV 2016 Development Shell since the previous release. The following table includes the new cmdlets in the current release. Export-NAVEncryptionKey Exports an encryption key from a Microsoft Dynamics NAV Server instance to a password protected file. 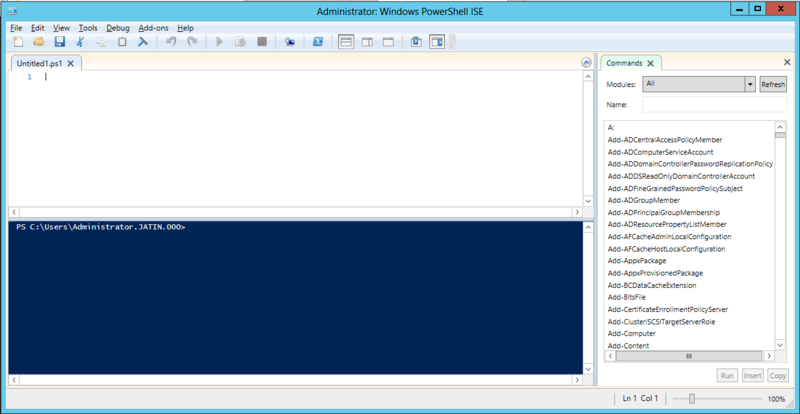 Get-NAVTableConnection Gets a list of connections to external database tables from a Microsoft Dynamics NAV application. Import-NAVEncryptionKey Imports an encryption key from a password protected file to a Microsoft Dynamics NAV Server instance. New-NAVEncryptionKey Creates an encryption key in a password protected file. New-NAVTableConnection Registers a connection to an external database table so the table can be used by the Microsoft Dynamics NAV application. Remove-NAVTableConnection Removes a connection to an external database table from the Microsoft Dynamics NAV application. 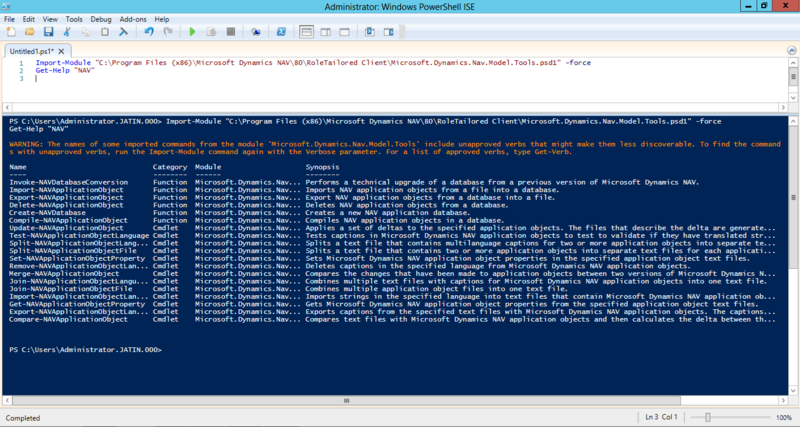 Remove-NAVWebServerInstance Removes a Microsoft Dynamics NAV Web Server instance on IIS. The following table includes the cmdlets that have changed in the current release. InputObject parameter removed and replaced by InputTenantRuntimeSettings and InputTenantSettings parameters. Get-NAVCompany FileName parameter changed to FilePath. Get-NAVDataFile FileName parameter changed to FilePath. The following table includes the removed cmdlets in the current release. Save-NavTenantConfiguration Saves the current tenant configuration on the specified Microsoft Dynamics NAV Server instance. Tenant information is now stored in the database. New-NAVCrmTable Creates Microsoft Dynamics NAV table objects that are based on Microsoft Dynamics CRM entities.